Contrast agents for ultrasound are unique in that they interact with, and form part of, the imaging process. Contrast imaging cannot be performed effectively without a basic understanding of this interaction and how it is exploited by the new imaging modes that have become available on modern ultrasound systems. 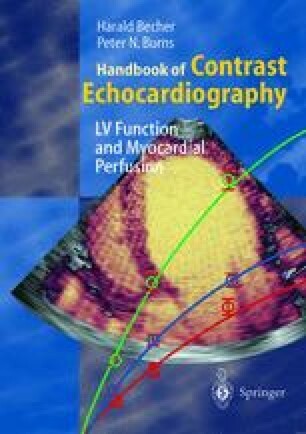 In this chapter we consider how echocardiography might benefit from a contrast agent, describe currently available agents and explain their mode of action. We discuss the impact of ultrasound contrast on echocardiographic techniques and instrumentation and conclude with the most recent developments in this rapidly evolving field.